A new auction is announced , meaning lots of professional high quality photo shoots become available. 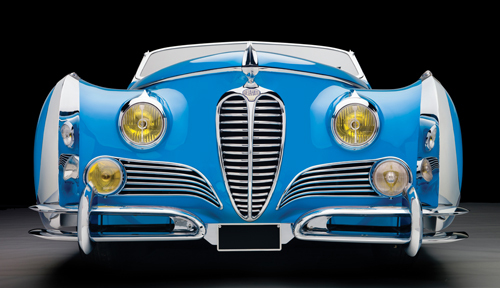 We now have a wonderful set of images of this famous one-off Delahaye 175S Roadster by Saoutchik to grace your desktop. Click here to go to the car's gallery. The first nine pictures are sized 1600x1200 pixels. The images will first open in 670 pixels and when you click on them a second time, they will open full size. Many thanks to Ron kimball and RM Auctions.